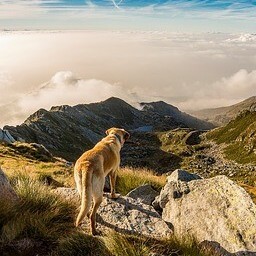 What a wonderful day to discuss “Why Do Dogs Howl?” mine do and I decided to do a little research to see why they howl. Is there a reason or perhaps a noise that is hurting their ears? I had a wolf and he often howled but that was natural for him! My opinion here is that dogs are descendants of the wolves and that it would be normal for them to howl, but some dogs do howl more than others what causes this behavior. I have a Pit Bull right now that when I come home I can hear her from outside howling and then the other two would bark at her are they communicating in a language only known to them? Because of her being the youngest of the three dogs I have found that she suffers from separation anxiety. Ever since I have gotten her she is rarely left for any length of time without a human and if I am gone more than a few minutes to her it seems like forever. Howling is a common trait among all canines and no dog is exempt from howling, it just depends on what brings this howling about. Because it is a non-specific behavior howling can occur anytime there is a “distressed”, stressed in a situation they have no control over (being in a kennel), feeling territorial, communication with dogs far off, or perhaps responding to a siren. Wolves will howl to bring all the hunters back to the pack or at times to ward off enemy packs that are coming into their territory letting them know that they are trespassing and they are ready for them. When dogs howl they could possibly be communicating with dogs from the other side of your neighborhood their hearing is so much better than humans and we cannot even begin to hear what they do. One of my labs would only howl when we played a certain CD it was funny he would sit in front of the stereo and actually sing along with the whole song. Some dogs will howl at the sounds of sirens even before we as humans even hear them. As humans, we can talk to our dogs, but they have their own way of communication and howling is just one of the forms they use to communicate for attention, making contact with other dogs, and to announce their presence of where they are. If a dog is sick or injured they may howl in a slightly different way to vocalize they are having a problem, if you notice this is more than normal then please get them to the veterinarian for a check-up it could be serious. Has your dog ever woke you in the middle of the night howling? When you get up to check on him/her there is nothing wrong but you can hear the neighbor’s dog howling as well? I think this comes from their ancestral wolves and they join in as an automatic response to the rest of the pack communicating where they are. I have known dogs to howl when someone has passed away mostly the owner the one who has taken care of them all their life up until now – this can cause the neighborhood chorus to begin – but every time it happens does not mean that something is wrong at that time. Dogs do howl for many reasons but mostly it is for long-distance communication, territoriality, loneliness (anxiety), sickness, or injury. Humans need to learn it is just a dog’s method of communication to other dogs. First and foremost you need to determine the reason for your dog howling, once you have determined it is not because of sickness or injury then you can work on stopping them or breaking them from the howling habit if it is bad. One thing most dogs respond well to is reward therapy – in other words, once you get your dog to stop howling reward them with a treat. If they continue to stay quiet for at least 5 to 7 minutes give them another treat letting them know quiet is good. After a couple of treats for being quiet and you soothe them, they should be alright – continue to do this when they start to howl to see if this will stop or break the howling issue. When it comes to a dog howling because of anxiety this is a whole new issue and requires another form of protecting them from harm. Some just howl from the separation while others will howl and destroy – this has happened for me – and she is now in a kennel when I go out. The only problem is I can put nothing in the kennel with her that she does not destroy and this can even be at night when I am home in bed and she is in the kennel. So I looked up some suggestions that I am going to try to see if any of them help. The first one is listed below. Fill a treat ball with peanut butter then put it in the freezer for the next time you need to go out, peanut butter is going to take a long time for him/her to lick out of the treat ball but being frozen also is a cool treat. Always tell your dog you will be back soon when you leave, I do this even if I am walking across the street to the dollar store for a few minutes. Stop when you get outside of your house to see how long he/she howls, prior to continuing on your way. Some dogs especially one that you have adopted may be unsure that you will return to them as they may have been abandoned in the past. When you arrive back home give your dog a very exuberant greeting. He/she will then start to look forward to your return instead of howling while you are gone. 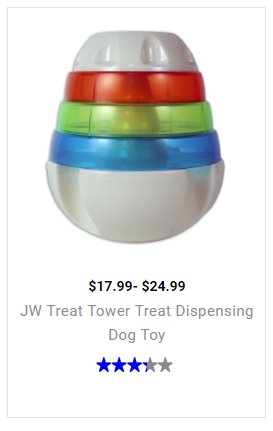 Make sure you take the treat ball when you return home (I usually wash it and set it out to dry for refilling). Doing this teaches your dog that he/she only receives special treats when you go away and you will return to pick them up. 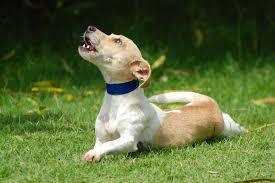 Now that we have a good idea of why dogs howl what do you think? Does all of this make sense of why our best friends end up singing (howling) at times? If you have had a dog that had this problem in the past would you mind sharing your remedy with us? Any suggestions on what to do with anxiety when left alone for a dog? Your answers below are greatly appreciated along with any questions, comments, or suggestions that you might have as well. Hello to you all, our topic today is how to break a dog from chewing. This is something that many have trouble with since bringing home their new dog as a puppy and have not found a way yet to break them. You can search all over the internet and find so many answers to how to keep your puppy or dog from chewing everything in your house. Including what even belongs to them! I myself have a chewer that I have now found the underlying cause of why she loves to chew things even those that are for her benefit when I put her in her kennel when I am away. The only time I have no issues with her is when I am home and she has supervision or a human with her, think possible separation anxiety then you are correct. Many dogs suffer from this and it can become a big problem should they decide to chew on the wrong thing even becoming fatal for your best friend so how do you fix the problem? People are under the impression that crate training an animal is cruel and that you should not put them in a cage and I would have to agree to a certain extent. When it is for the safety of your dog or puppy then I believe this choice is the best one you can make. Crate training to keep them safe is not hurting your dog or puppy just ensuring that when you arrive home they are safe and sound. But what to do if your dog or puppy then decides that chewing up the brand new bed you just purchased them is also a chew toy and they destroy it while you are gone? This has happened to me not once but a number of times. She at this point has nothing in her kennel because of her destructive chewing habit. Will this work over time I can only wait and see and will advise at a later date. Professionals recommend exercising your dog or puppy before putting them in the crate prior to leaving them for any length of time. Because if you take the time to tired them out they will have less tendency to chew things up. Sorry but I have tried this and it did not work. I have tried the bully bones and Kong balls with peanut butter. Unfortunately, they were not a solution that worked for her either. Not saying that these things will not work for some dogs or puppies because I believe that all dogs are different. And yes for some this is most definitely going to fix the problem. Just not for my little girl, she has just turned two years old, so thinking now that the puppy stage is over working on the separation anxiety what needs to be tried next? My problem is I spend so much time at home with my dogs, I have three dogs, that when I do leave her she thinks I have left her for good. What I think I am going to try is experimenting and start leaving her for a half an hour and then keep moving it up in fifteen-minute intervals until such a time that she can then have a comfortable bed back in her crate to lie on while I am gone. Keep everyone posted in the future if all goes well if not then back to the drawing board to try and figure out how we can fix this chewing problem. Alright, I have been researching this from more than one source and what the experts recommend is when you find your dog or puppy chewing on something they are not supposed to be chewing on is making a loud noise to stop them first. Take the object from them and give them a toy for them to chew on that belongs to them even playing with them for a while keeping them interested in the toy to forget about what they had been chewing on. This has worked very well in the past for me with raising the many breeds of puppies I have raised throughout my lifetime and I am sure it will work for most dogs/puppies of any breed. Finding the right toy to hold their interest is also trial and error and takes some patience because I have found that all my dogs and puppies always have a certain toy they prefer over the others. Kong balls are the best on the market that I have found for the power chewers with jaws that can crush most anything they fit their mouths over. These I have witness firsthand are not completely indestructible my pit has destroyed one already. When dealing with the constant chewing dog or puppy who chews on anything and everything in your house never leave them unsupervised is one of the best pieces of advice that I can give you. Making sure to puppy proof or dog proof the house is another putting away all shoes or things that you would normally leave out that the animal could get and chew. With furniture find a sour apple or lemon that you can spray on it without hurting your furniture to keep them away the smell alone should deter them but the taste most surely will. Provide your dog or puppy with plenty of toys to keep them amused and are good for chewing including the Kong line these are almost indestructible and some that will work at keeping their teeth clean and free from tartar buildup is advisable. Exercise your dog or puppy to make sure they do get enough exercise. Exercise is important for boredom because this can also cause them to look for things to chew on. Proper nutrition is something else you should always consider when you have a chewing dog or puppy are they trying to find something they are lacking in the nutritional part of their food. A veterinarian check-up is advised to make sure your dog or puppy is healthy and has no underlying medical reasons for chewing – bad gums – bad teeth – etc. When you have exhausted all the possibilities then the only one left is the anxiety that my little girl suffers from when I leave her and the only way I can help with that is by doing the experiment above. Your vet might be able to recommend how to help with the separation anxiety chewing but at this time I have not found any help other than crate training and putting her away when I am not home to keep her supervised. 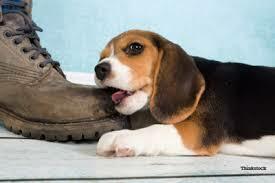 Do you know of any ways to keep a dog from chewing on anything but everything? Would love to hear them please leave questions, comments, or suggestions in the space provided below. Most Common Ones for Our Dogs. We all know someone who has a dog that at one time or another a behavior issue will arise. I thought possibly highlighting a few of these along with how to handle them may help you with taking control of the situation. I know that I covered this in the training section of the website; but what if you have that one stubborn little one who just refuses to go outdoors and insists on going in your house? One thing that I have found out is if as a puppy a person has used a kennel inside the home to keep the puppies in the puppy then feels that this is the proper place to relieve itself. No punishment is given for them using their crate to go in therefore as they mature and you have a kennel to keep them in during the day while away it is customary that they will relieve themselves in the kennel. You cannot punish the dog because this was acceptable behavior growing up and now even though he/she is not fully grown and the behavior continues you want to punish them. This is just very confusing to the poor fur baby how is it when being it has used the kennel getting to this point was alright and now it is not? Even overnights in the kennel cause this same behavior because they could freely go as youngsters and now you find breaking them from this habit is getting harder and harder. I have a couple of recommendations here that may help but only if you have the means by which to enforce them. Should you happen to have a full-time job and require being away from home for hours; you need to find someone who you can trust to come and take your dog out during the day to relieve themselves. 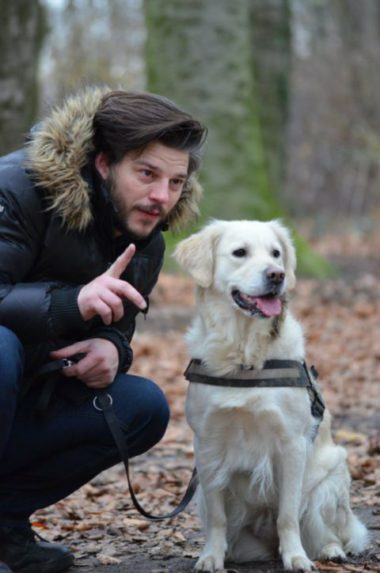 For some of you, this is going to be a difficult find but it does work just finding that right person to trust with your dog is going to take some time. Once you are home do not keep your fur baby in the kennel make sure you give them special time just for them like you would a child. This is one thing that matters most to them they live to please you. No accidents in the kennel make sure you shower them with praise the more you do the more they try not having accidents. If this is happening at night when you put them in the kennel for bed; you may want to adjust when and how you feed and water your fur baby making it easier on their system to hold it through the night. Same as above every morning give them praise for no accidents they want so much to please you they will eventually learn that the kennel is not also their personal bathroom. When you first get home no matter how long you have left it could be only a matter of ten minutes, but to your fur baby, this seems like an eternity (dogs have no sense of time-lapse). What is the best way of controlling all this excitement? Persistence and commands work but you must also have everyone that visits you use the exact same ones; therefore if someone new comes your dog is going to be so excited to get a new visitor they are going to forget, and get super excited jumping once again. In this case, I have found that using their kennel during a new person’s visit is the best medicine for keeping them calm and teaching them to stay calm. Once they have calmed down then you can release them to greet the new arrival only if the new arrival is not afraid of your animal. Always use your dog’s name and a one-word command when correcting them works best: “Dingo Down”. Repeating the command is best along with making them obey the command. This takes time and patience but eventually them wanting to please you makes them easier to handle once they get all the commands down. Many people have a problem with an animal sitting beside them while they are eating and begging for food. In order to stop this behavior you can always put your dog in another room while having dinner; eventually, they will get the message that sitting at the table with you is not proper manners. Some people do not mind their animal at the table when they are eating but do not like the begging. 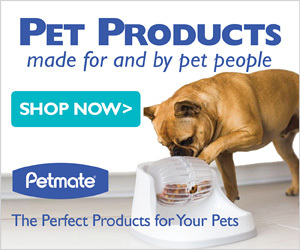 In this case, you can train your dog to lie down by your side while you are eating. I have mine trained to lie down all I need do is ask them if they are begging and down they go. Just a little tip on this if you do let them stay at the table with you and they have learned their manners I always save them a bite for being a good boy/girl for not begging. Some fur babies have a very bad habit of chewing whatever they can get into their mouths. This includes furniture, bedding, carpets, walls, you name it and if they can get it in their mouth they chew it. Now, most people will say you need to provide toys for your fur baby to chew on, and this is correct during their younger years as they are cutting their teeth. As they mature and you still have the same problem what then? I have one of these and to be honest I have not found anything to cure her yet she is going to be two in November 2018 but still loves to chew things. I have tried multiple things with her and to no avail so I have learned to make sure there is nothing around her kennel that can hurt her, and I use old carpets and such for her to lie on and keep her comfortable. These are just a few of the habits with suggestions that I felt should be covered to help you with your dog and I will be adding every week so please come back often to see what is new. I always ask for suggestions and comments from all my readers and if you have a proven method to handle any of these behavioral problems please share them for us all to benefit in the space provided below. Thank you for visiting today and hope you return soon to find something new! Have a new addition like a new puppy? Oh, how nice and so cute and cuddly but training time so let us explore shall we? This is a subject that everyone in the world has their own ideas on, and what has worked for them does not always work for you am I getting this right? How I train my puppies might not work for you either but, here I will lay out what I do and if you want to add to this or you have a way that you feel works much better I encourage you to please share! You can adopt a puppy from the shelter too, please do not forget this! I base house training on the age of my new little fur baby, how old when I bring him/her home. At the age of 6 to 8 weeks, they have such small kidneys they cannot hold any liquid for any length of time so you might want to have papers by your door or puppy pads. Fair warning they are going to have accidents! I at this early stage take them out every half hour sometimes even sooner if I see they are drinking water gives them the idea drinking causes tickles go outside. As they mature and get a little older I increase their time a little at a time 10 to 15-minute intervals usually is best. Once they reach four to six months you will notice that they are going outside regularly and will have a way of letting you know they have to go. For the stubborn ones, you will find these it can take up to 18 months to get your new pet completely housebroken. And should they get sick, because they do pick up viruses and colds, they could still have an accident in the house. Do not punish them unless you see them going, their memories last about as long as a child with ADD! In order for your puppy to follow commands you must instill them early in their lives, but at 6 to 8 weeks old they have no clue. I started when mine were they about 3 months old when they were more familiar with my voice and different levels in it. Always use a very stern voice when giving commands never yell. This lets your fur baby know you are the boss. Believe me, they want to please you very much because your love for them is everything when they make you happy they are happiest. Use small puppy treats or you can break off a small piece of cheese or something to give them a treat when they obey the command. Now a ton of people will disagree with giving your puppy people food, my veterinarian when asked told me if you eat it then it is ok for your dog. If its something that you feel is spoiled and would not eat do NOT give it to your dog. With that said, the three main commands that most people start with are: sit – lie down – stay. SIT – To have your puppy sit hold the treat above their head giving the command as one word only “Sit”. If the puppy tries to jump up, push on their rear end to get them in the sitting position, still holding the treat above their head, and keep repeating the command “SIT”. Once they have accomplished sitting for a few seconds at first then increase the time as training continues prior to giving them the treat. DOWN – Training your puppy/dog to lie down, (always try to use one-word commands they work best). Finding it best to have the puppy sit first, take the treat and move it from their nose down to the floor in front of them, using the command “Down” repeatedly until they lie down. You will need to work this way for some time until they are used to the command of “Down”. When they have adapted to lie down on the command straight from the standing position you can increase the time as training continues prior to giving them the treat. STAY – To train them to stay I would get mine to sit with a treat in hand and start with just two steps backward, repeating the command to “Stay” holding my other hand palm up in front of the puppy’s face. When they accomplished this for a few seconds I would have them come and get the treat. As they get the hang of it, keep backing up more steps before calling them to you and rewarding them with the treat please do not forget the praise for being so good. When you have it in your heart to adopt a pet from a shelter, you may have quite a variety to choose from and all ages. So depending on the dog you have selected the personnel at the Shelter may or may not be able to give you some advice to what the animal has been through before they came to them. Some animals are rescued from abusive homes where people have starved them, beaten them, left them tied outside in all kinds of harsh weather conditions, and many other terrible acts of cruelty that I do not even want to go into. The Shelter personnel works with these animals to try to get them back so they can be adopted and find a furever home where they will receive the love and care they deserve. Other animals come to them from people who can no longer care for them, some are heartbroken that they have to give up their sweet baby but have no choice. These animals are always very sad and confused they once had a human who loved and cared for them and now they are sitting in a cage all alone scared. Others just take their unwanted adult dogs to the shelter because they no longer want them they are not a cute little puppy anymore and too much work for them. Lastly, some people do not care enough about their animals to keep them in fenced in yards they run away and get lost. Some don’t even care to turn them over to a shelter so they just dump them off and the animal has to fend for itself unless someone is kind enough, or they have Animal Rescue Personnel to pick it up and take it to the shelter. These poor ones are lost very confused and do not trust humans what so ever, they end up being in the shelters the longest because they are not adoptable when they come and the time they have to spend there is sometimes longer than the shelter gives them so they end up being put down due to overcrowding. With time and patience, these animals will trust a human again, if a human did train them at certain things it will come back to them. If you have a really big heart and a ton of patience making up with these shelter pets it is the ultimate sacrifice to getting a new pet that will love you furever until it is gone from our world. To turn their lives around will not only keep some of these poor babies alive but at times can actually save a humans life in the end. So in order to train these grown animals, you would treat them the exact same way as a new puppy when you bring it home. To learn the commands you want to teach it just go slowly and reward the animal for each good thing they do. Please leave all your tips for training your animals in the comment section, and thank you for visiting my Delightful Doggies 4 U Website. Hello and welcome to another adventure with Delightful Doggies 4 u. Today is all about Conservation and Dogs and it is well known New Zealand is a leader in this field and I feel it is important to learn what this is all about so let’s go. Continue ReadingConservation and Dogs – What do these dogs do?